Meet Miles (a.k.a. "Mr. Wonderful"). 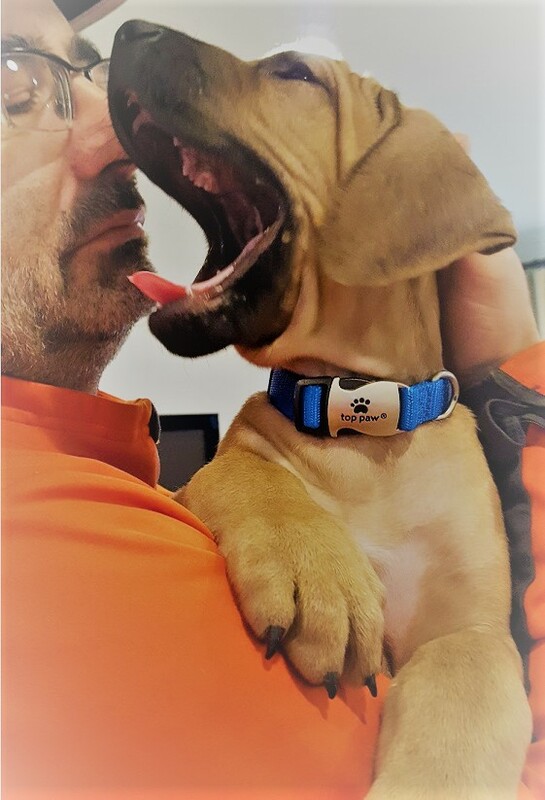 Miles is an 8 weeks old Rhodesian Ridgeback boy, just under 16 lbs. 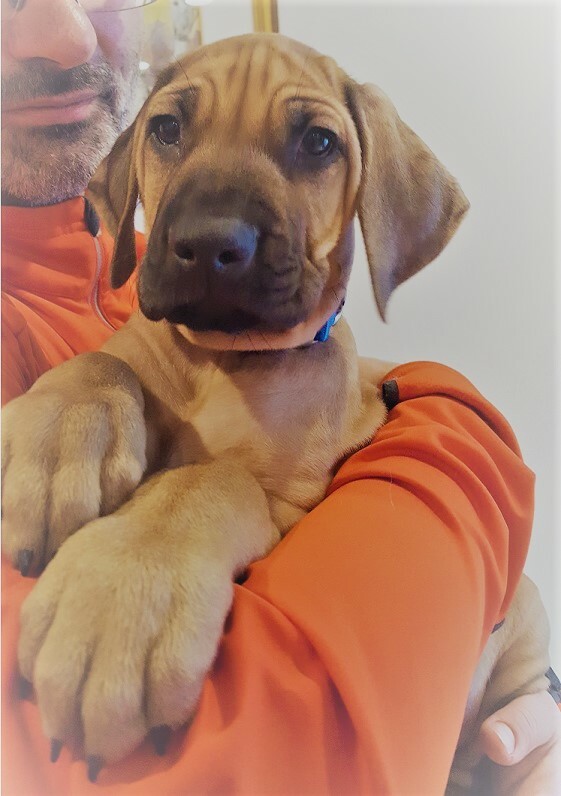 Being our second Ridgeback, he - at least in theory - gets the benefits of living with humans who have faced Ridgeback puppyhood in the past, and survived to tell the tale. Baby Miles has been with us for only 3 days, but one thing is becoming clear already: 8 years passed since we had our first RR puppy make a difference, and not for the better. It turned out that I am a lot heavier on my feet when it's time to get the boy outside, especially in the middle of a cold January night. There is still some hope that it's a matter of practice, and my reaction and response time will improve. 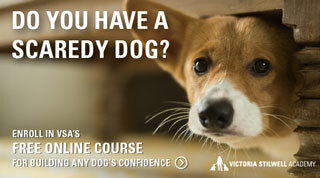 If not - housetraining may be more challenging than we thought. At the moment, Miles' world is divided into 2 parts - things which can be bitten, and things which are too high off the ground, and therefore cannot yet be bitten. I am sure he expects to close the gap soon. Otherwise, what's the point of growing taller? He is not yet always steady on his legs, but when he is - he is incredibly fast. Coupled with his tiny size, it's a very helpful quality when stealing slippers and then hiding behind the armchair. Getting him (and his well earned trophy) from behind the chair becomes an event, totally enjoyed by all involved. Today Miles met the first neighborhood dog, a 4 y.o. beagle boy. A lot of love from Miles towards B. Unfortunately, M-love manifested itself in biting B's ears, nose, leash and everything else within reach, but B showed exceptional tolerance, so we'll mark it as a positive socialization encounter. Ari, Rhodesian Ridgeback, Sept 2010 - Dec 2018.
thank you for sharing pictures of Miles. had a few ridgebacks ocme through class, always fun dogs. I can see why you enjoy them. I've always liked them too. Looking forward to hearing about Miles as he grows. First playdate today, with a super cool adult male. Fun, exercise, good socializing, and I am sure a couple of good lessons for our tiny land shark, who seemed to be very comfortable and confident engaging with a much bigger boy, and had a terrific time. All the credit goes to the big dog, of course, but also shows that the extra effort in arranging this kind of get-together is well worth it. We were into dog parks when our first Ridgeback Ari was a puppy, and we paid the price during his adolescence, and probably throughout his entire life. This time - no dog parks. Instead we’ll try to have as much interactions and play time with known dogs, who can teach how to play nicely, and promote good manners and confidence. This will probably be harder than just letting the puppy loose among random dogs in a dog park, but we will definitely do the best we can. Congratulations on your new family member. Yes, do keep us posted with tales and pictures as he grows. Hes gorgeous i look forward to hearing of your adventures together. He just turned 3 months. Snugglin' boy. Did we discover a new breed - African Snuggling Dog? Wow hes getting big fast. When i watched the video of Miles getting knocked out by the saint bernard pup i went Awwww poor miles and lara look up at me " wait what mom whos miles" .